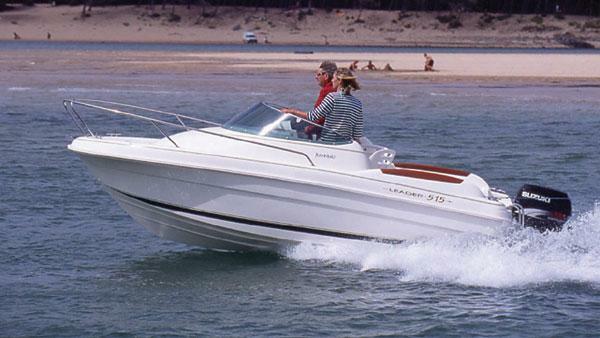 Boat Description The Leader 515 originates from a simple idea: offer a ready-to-go boat at a reasonable price. Start the engine and it`s full speed ahead for new ways to discover the water and enhance your vacations. The Leader 515 is perfectly adpated for the sea, with a performance hull, a large protected cockpit, and two spare berths.